When I report on a game for this blog, I try to make sure it ticks a few boxes. For one, it needs to have depth; a plot or mechanic of sustenance so that I actually have something to talk about. It needs to be entertaining, for obvious reasons. And, perhaps most of all, there needs to be something noteworthy about the packaging. 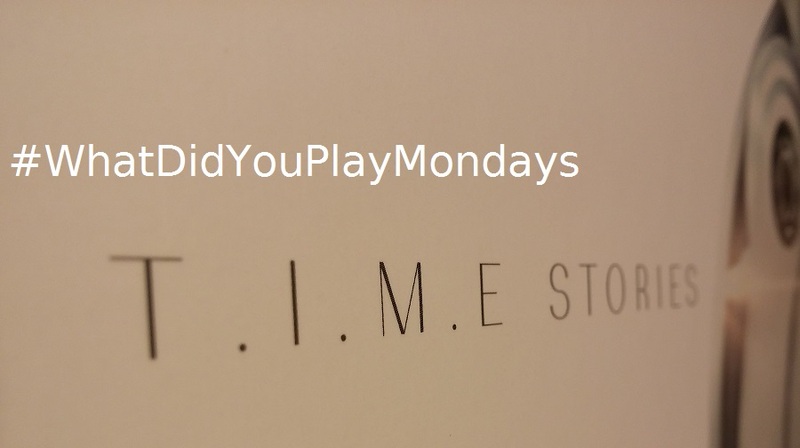 The game I played this weekend is called T.I.M.E Stories, published by Space Cowboys–and it didn’t just tick all the boxes, it punched through them. Especially in the packaging department. Calling this game box “noteworthy” is an understatement. But we’ll get to that in a bit. First, let’s see if I can sum up T.I.M.E Stories. Oh boy. Describing the story of the game is tricky. Not because the game lacks a plot (the exact opposite actually). In fact, the plot is so deep that half the fun is just making your way through the twists and turns in the story. The premise is that you’re a temporal agent of the T.I.M.E. Agency. So, yeah, it’s a time travel game. Those are rare enough in general, but T.I.M.E Stories is truly a gem. As a time-travelling cadet you are transported back to a time in history to fix some sort of disturbance. In the case of the base game, the destination is a mental asylum in 1927. All you know at the outset of the game is that something is going down and you need to handle it. That’s right. Our first mission was a failure. But that’s the beauty of time travel. You can go back again and again until you get it right. And, believe me, you’ll want to go back. If you didn’t guess, T.I.M.E Stories is cooperative. You and your team are trying to unravel the plot together via choices, puzzles, conflicts, and plenty other creative twists that you won’t see coming. As in all games, your choices are still your own and there’s always points of contention with your teammates at some point. But much like variety is the spice of life, competition is the spice of games–even co-op ones. If you’re thinking But can I ever play again after I beat the story? welcome to the 20 straight minutes I spent in the game store trying to decide if it was worth it. But having played it, I can tell you that answer is a resounding yes. For a number of reasons, actually. There’s a dice-rolling element. I’d call it a combat mechanic, but there’s a lot more gray area in this game than just cut-and-dry combat. The clever and tension-building dice roll mechanic will make any replay a different adventure altogether. There are more scenarios available utilizing the base set. Currently, there’s 3 available stories beyond the Asylum scenario, each with their own characters, plots, items, and quests. The stories have an end but, potentially, the game is endless. Though, technically, it is a story-based game, meaning once you’ve played through, you get what’s going on. But much like a good movie you watch again, or a favorite book you come back to, eventually you’ll want to relive the experience. Of course if you only play to play it once through, it’s very easy to savor the flavor of this game. That’s where the ingenious packaging comes in. I’ll start with the visuals. In a word: perfect. The custom game box is unbelievably eye-catching. Much like Tokaido, it favors the minimalist approach. 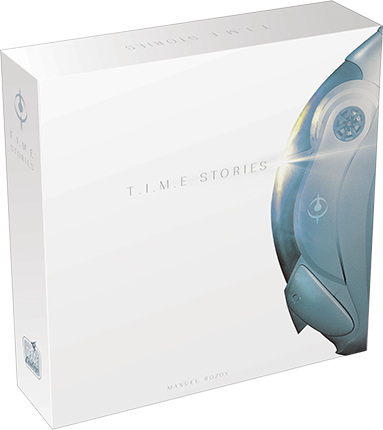 But T.I.M.E Stories’ box makes Tokaido’s box look like a Jackson Pollack painting. Stark white with a simple, nearly-invisible font that ensures you’ll have to get up close and personal with the box to find out what it is, the biggest visual component is a right-skewed rendering of one of the time travel pods.. A subtle sliver and a hint of things to come. Perhaps my favorite aspect of the outer packaging is the use of both matte and gloss laminations, creating two different textures–one soft touch, one smooth–in conjunction with the crisp turned edges. If you turn the box over or unbox the game itself, that’s when the colors really start to pop. The gameboard itself is beautifully minimalist as well, allowing the beautiful era-appropriate artwork of the cards to shine once the game is in play. The simplicity of the board also lends itself to the replaying of scenarios. New decks, same board. But that isn’t the ‘ingenious’ part of the game box. The really cool feature of this box is the custom thermoformed insert. It’s the definition of unique. 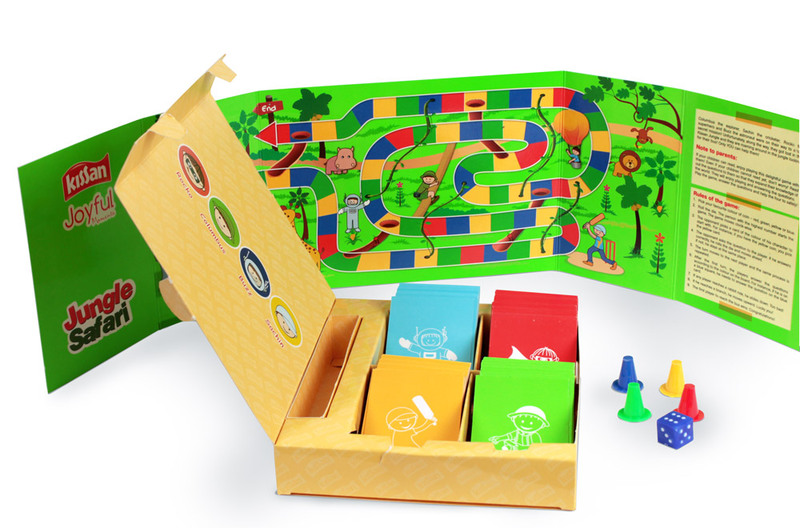 Not only does it pack the game components away in a very organized fashion (a huge bonus in itself), the molded plastic insert acts as a ‘pause’ feature, kind of like a video game. Specially-labeled and spaced compartments allow cards and tokens to be put away so that if you need to take a break in the gameplay, you can easily pick up where your team left off. There’s your other replay value factor: much like a bookmark in a book too good to finish, you can stretch the hours of gameplay out as long as you like. Kudos, Space Cowboys. You thought way outside the box, by thinking way inside of it. Most impressive. As an avid board-gamer and a packaging aficionado, I have to say that T.I.M.E Stories really is all it’s cracked up to be. Exciting story, nail-biting dice rolls, smart mechanics, high-art graphics, and truly unique features makes T.I.M.E Stories a game for the ages. H.G. Wells would be proud. What did you play this weekend? 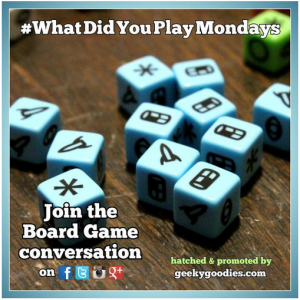 Keep up with Geeky Goodies’ #WhatDidYouPlayMondays hashtag and remember Sunrise Packaging for all your custom game board and game box production needs. That which we call a box. By any other name would look as sweet. This Shakespearian question crosses my mind a lot lately. I’m completely immersed in custom boxes, especially custom game boxes. I wish I could say it was just a professional thing, but in my free time I’m cruising a little gaming group on Facebook called Boardgame Geek. Why? Because I’m addicted to shelfies. No, not selfie–shelfie. 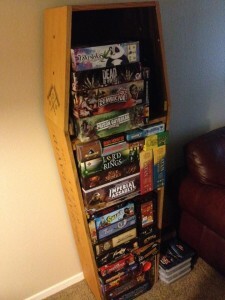 The trend among tabletop gamers to show off their collections of game boxes. 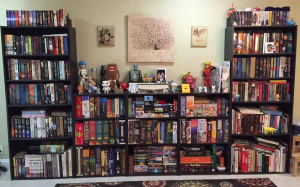 Shelves and shelves of board game boxes, a veritable library of geeky goodness! These shelfies are a thing of beauty, showing off the crisp graphics and wraparound printing of custom box designs as much as the collections themselves. As I scan these photos, noting which game boxes my eye goes to first, I have to wonder what’s in a box? What makes a custom box design really pop? What makes a stack of rigid two-piece set boxes become a photographic masterpiece? To further explore this, let’s look at 3 different games and their custom box design. What makes them stand out? I should mention that most of these games can be found in the top-selling category of just about any store or site. So there must be something to this, right? Let’s just get this out in the open, shall we? Catan is probably the biggest board game in the universe. There I said it. It’s a timeless classic. The archetypal perfect game. I’ve heard it referred to as the “gateway game” for people transitioning from Monopoly to the wonderful world of in-depth tabletop gaming. I put off playing it for ages (since I’m kind of a board game hipster) but, having recently converted, I have to say it’s a great game. But that packaging? That’s your box? Of all the game boxes you could have gone with, that’s what you’re going with? So simple, so plain...so perfect? The scene has a classic feel–and why mess with a classic? The warm colors are still bright enough to pop. You can almost see the canvas as though it really were a Renaissance painting. With digital offset printing, these details can be brought to life on a custom box. Now that’s a pro tip: don’t sweat the small stuff when it comes to detail. 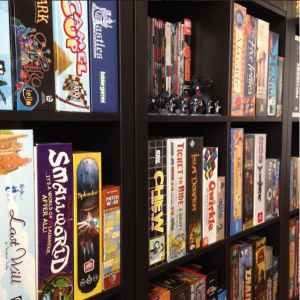 Game boxes are the first feature of a game a buyer sees! Bottom Line: Catan knows what it is. And it works. Now this is my kind of game box! Bright colors, explosive graphics, robots and monsters! 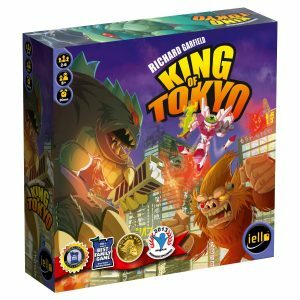 King of Tokyo is the brainchild of Richard Garfield, the developer that famously brought the world Magic the Gathering. 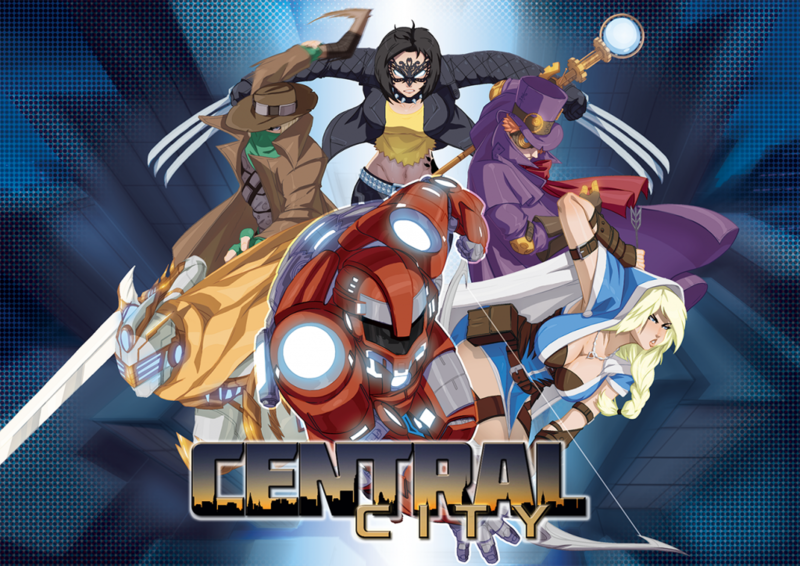 As for the custom box design, the turned-edge graphics aren’t quite wraparound (a preference of mine) but are used in a very cool way to feature all the characters. 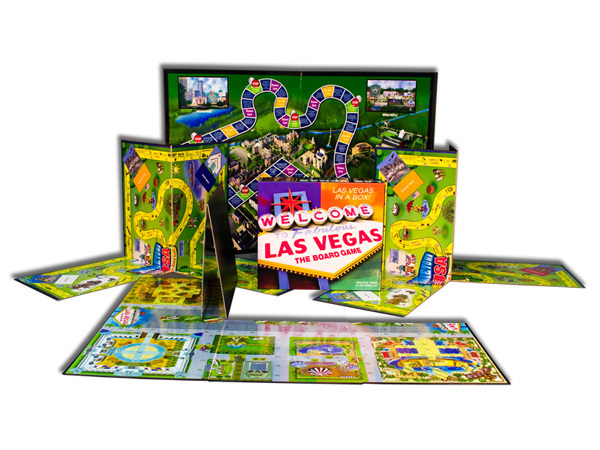 The lamination is a combination of soft-touch matte–which reduces glare and looks sharp–and a glossy lamination around the lettering and monsters. A unique combo for sure, but it definitely works to make the name shine. A note about the game board: it’s small. Instead of going for the usual bi-fold chipboard, King’s gameboard is rigid single piece, no-fold. It’s used very smartly, and conservatively, since there is not a lot of real movement in the game. 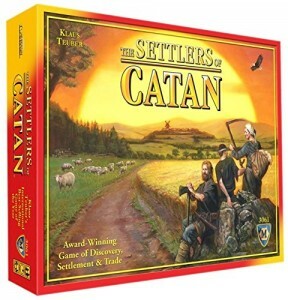 Bottom Line: Contrasted with Catan, this game box has a lot going on. Totally different color scheme. Personally, I’m a big fan of game boxes that appeal to the “anime visual overload” factor, and that style really fits King of Tokyo‘s theme. In a nutshell, Tokaido is a fascinating cultural game of tourism. That’s a pretty small nutshell to try to cram it into, but the most striking element of this game is its subtlety. In all elements, not just on its custom box. The visuals and artwork are all contrasted against a stark white backdrop. You can tell from the packaging, that the game favors a simple, elegant visual presence, completely different than the first two games. Whoever designed this particular setup box was taking a cue from the current trends in luxury packaging: organic lettering, soft graphics, and a minimalist presentation. 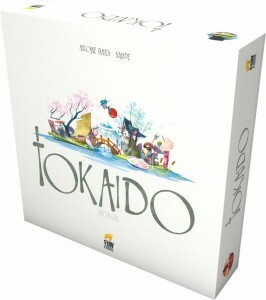 Bottom Line: Compared to other game boxes, Tokaido marches to the beat of a different drum. But the striking nature of its custom box is undeniable. All these custom boxes will stick out in a shelfie for different reasons. One with a timeless traditional look, one with a futuristic blast of color and detail, and one as a stunning example of clean uniformity. All draw the eye with very different effects. When choosing a design for your custom game box, it’s important to keep all these elements in mind. Maybe one day your game will be featured in a shelfie.